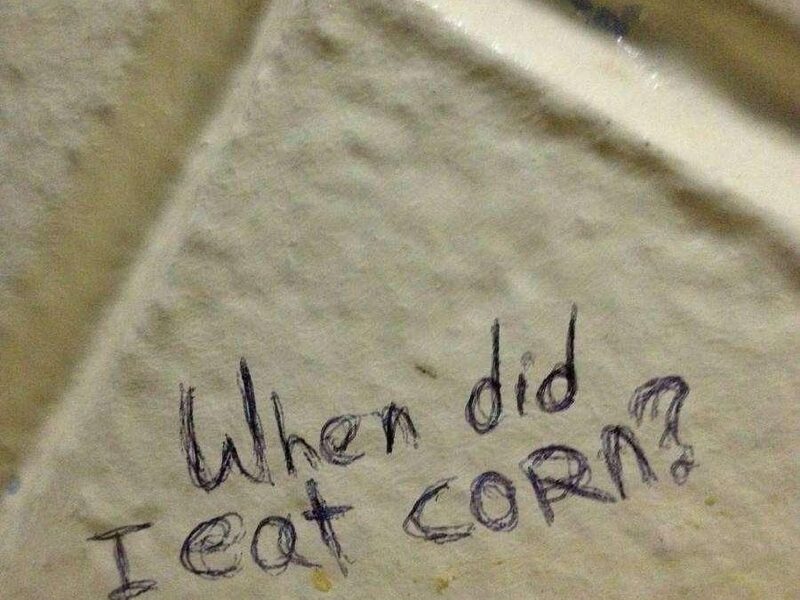 It’s usually pretty funny when you see very clever bathroom graffiti, the reality for restaurant owners is that it’s always destructive and only rarely truly humorous. 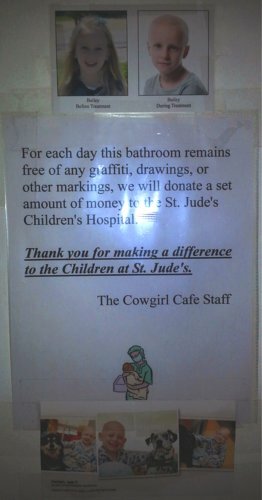 “For each day this bathroom remains free of any graffiti, drawings, or other markings, we will donate a set amount of money to the St. Jude’s Children’s Hospital. Thank you for making a difference to the Children at St. Jude’s. What do you think? Is this an effective method? Do you think there’s anything else a restaurant could do to prevent or fight graffiti on urinal stalls and bathroom partitions?